It almost wouldn't be Mother's Day now without topping it off by hanging out with one of my favorite Mac gangs — "the usual suspects" — for the Mother's Day Edition of the TUAW Talkcast. This year, on The Unofficial Apple Weblog, I had the distinct honor of being a guest on the show – the "Official Mom of the Unofficial Apple Weblog" – where we discussed family tech support and what it's like to be a Mac Mom (Mac parent, Mac wife, etc.) (It was great therapy to get that off our chests. ha ha ha) I was so happy I made it this year since I missed out on participating last year when Mike Rose was so kind to wish me a Happy Mother's Day. It was so much fun to actually be able to "talk shop" this time. 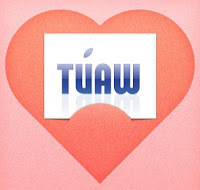 Subscribe to the TUAW Talkcast and participate in weekly shows on TalkShoe.